Field Forensics is a premier developer and manufacturer of explosives and narcotics detection and identification kits and instruments. 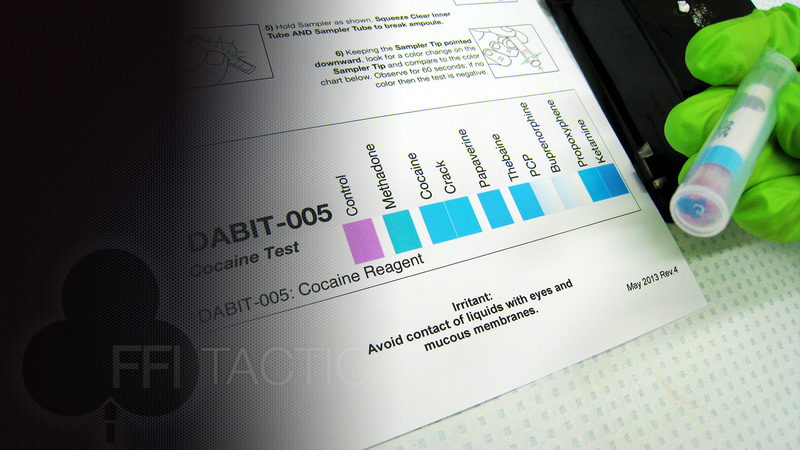 HandyRam™ is the latest in Raman technology that allows confident identification of narcotics in seconds using laser-based analysis. 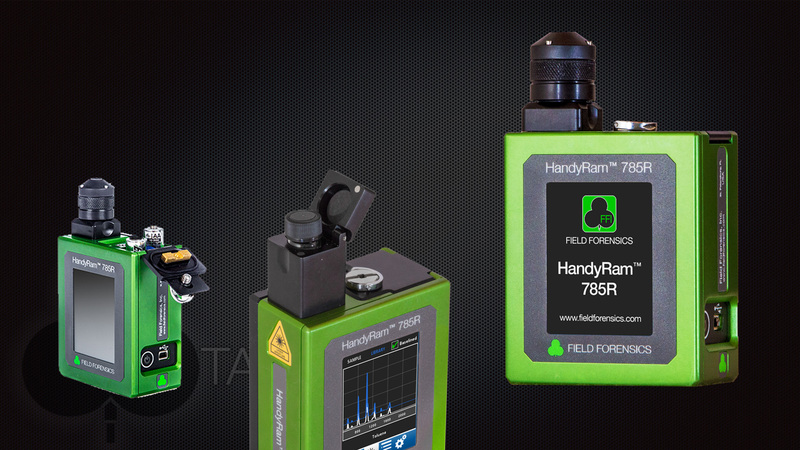 HandyRam™ fits in your pocket, runs from two AA batteries, is IP67 – complies with MILSTD 810G. 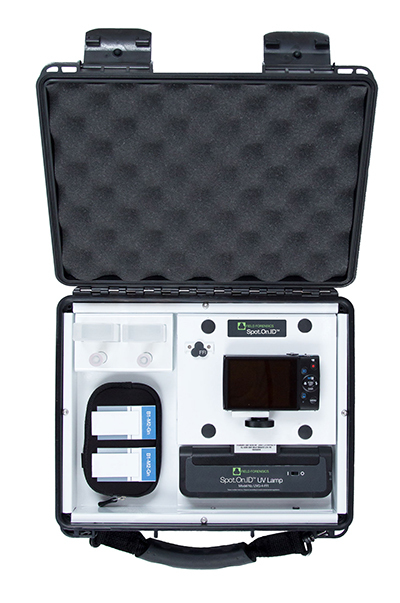 HandyRam™ is the first true pocket-sized Raman Spectrometer that can identify thousands of compounds. Various libraries are available from HandRam™ – Rapid Identification of Narcotics, Explosives from Field Forensics Inc that the user can develop libraries with the included software package. Automated TRACE Detection… explosives and precursors Designed for rapid screening an checkpoint, ELITE.Guard™ Model NEX-1001, is an automated, pocket-sized system for rapid security screening for trace quantities of explosives and presumptive identification of narcotics. 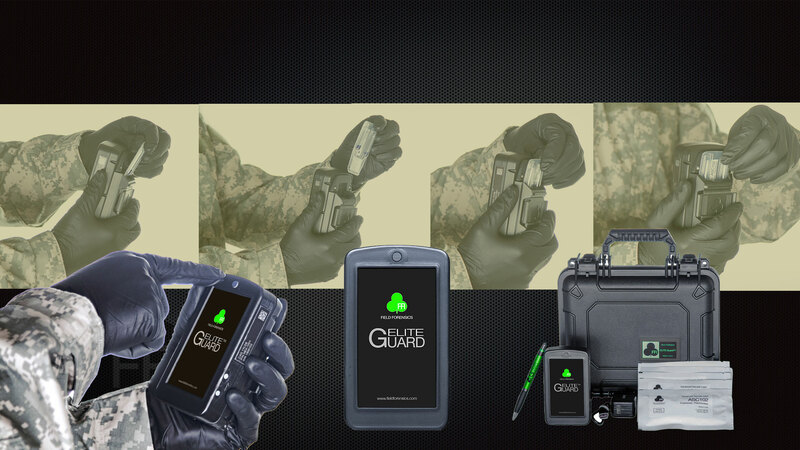 Use ELITE.Guard™ to detect explosives on virtually any surface. It is rugged and easy to use with minimal training. The system is smaller than some cell phones and is incredibly light in weight. A color touch-screen user interface is clear and simple to read. ELITE.Guard™ automatically logs data for each sample, including GPS data. A rechargeable battery provides several hours of power. ELITE.Guard™ does not require calibration and is not affected by changes in temperature, humidity or exposure to maritime or industrial environments. Environmental Waterproof. Shock-Proof. No calibration required. Fast, Easy TLC Analysis for Field and Laboratory Thin Layer Chromatography (TLC) is ideal for rapid presumptive identification, which when used in conjunction with color tests or other field analytical methods gives the end user a lot more information about the explosive compound(s) in question.. TLC is inexpensive, practical and gives valuable chemical information including identification of compounds in a mixture and establishing the purity of a substance – forensics labs routinely use TLC for these reasons. Winner of the R&D100 Award it tests forensic samples to identify explosives, illicit drugs, insecticides on surfaces, liquids and solids with greater power than other presumptive analyses and it works in a complementary way to color tests.